TAM, who will you meet? The best person you will 100% meet at TAM, Randi. My daughter and I consider him and his partner family. TAM, The Amazing Meeting, is in a few weeks. Each year I meet people I never imagined I would meet. I have been to many conferences, but I’ve never been to one where the speakers and ‘stars” just hang out with the people attending. I’ve seen Penn and Teller, not just their show, but just hanging out in the hallway at TAM. 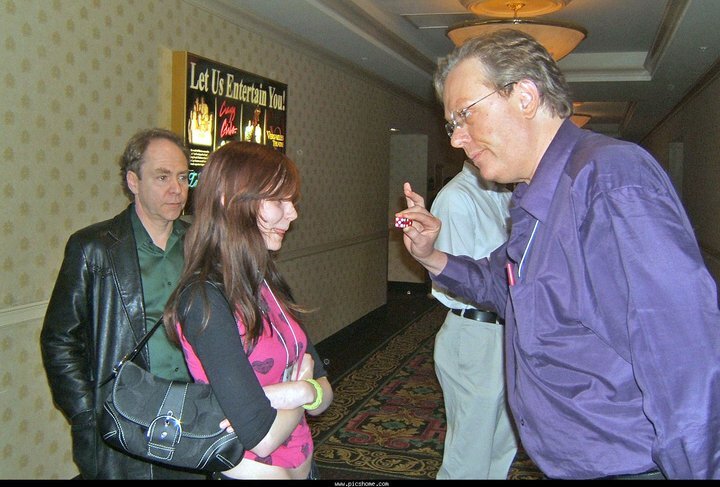 My favorite photograph is my daughter having Todd Robbins do a magic trick for her while Teller watches. One of my favorite photographs, ever. 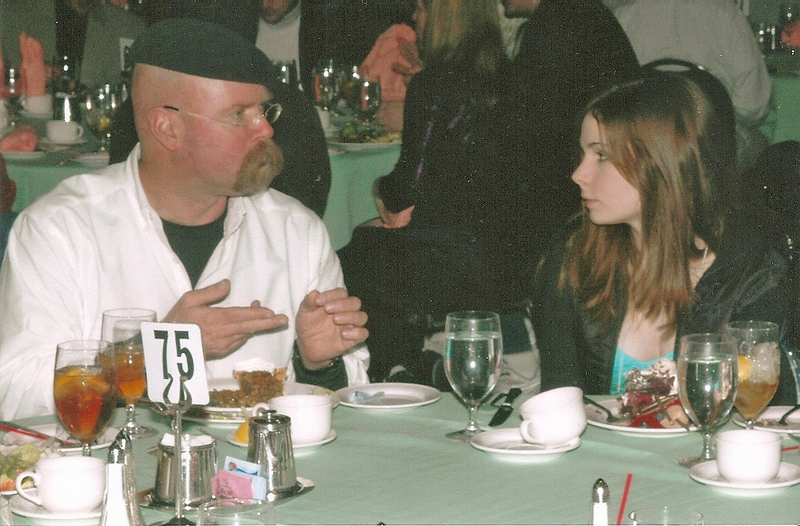 My daughter ate lunch with Jamie and Kari from Mythbusters, she just went up and asked if she could sit at their table. Jamie and my daughter talked almost the entire time. He picked up on the fact that she is rather shy, and they ignored the rest of the table as he sensed she would do better with quiet conversation. My daughter and Jamie, the most interesting lunch she’s ever had. He was so perceptive to pick up that she is shy, so they just talked like friends for the entire lunch. I met Matt and Trey, creators of “South Park” and my daughter has a magazine signed by them. I’ve eaten lunch with Harriet Hall, she just said “hey who wants to come with me and we can use the buffet coupons we got!” It was an incredibly interesting lunch, where I was in awe the entire time. She didn’t know who I was, she just open to meeting new people. 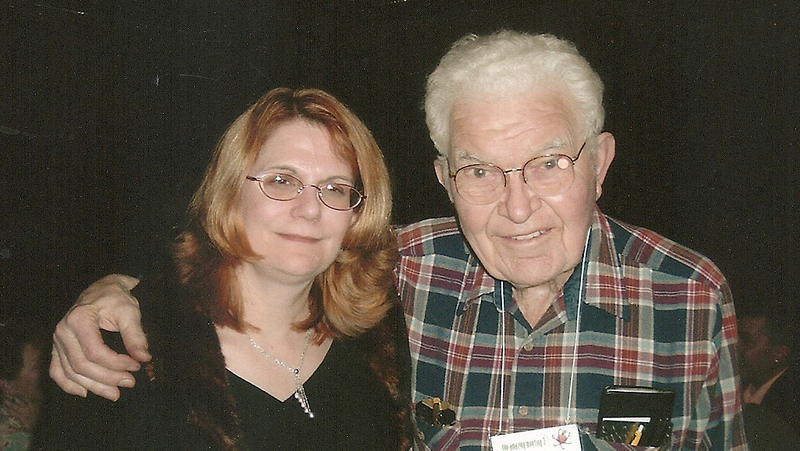 Robert Schaeffer, top UFO expert, now answers emails from me and helps me out. Joe Nickel has become a family friend, not just an author that has his own shelf in my library. Joe and myself, and the famous toasted cheese Jesus! 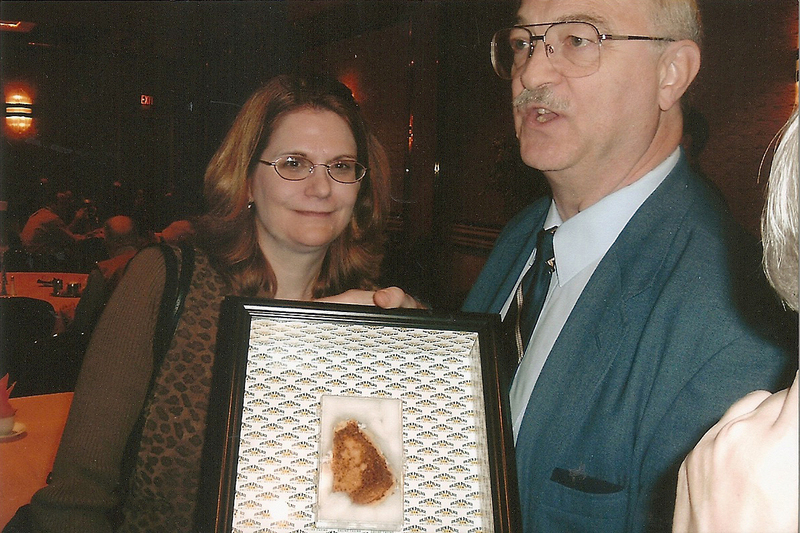 It was hilarious how skeptics came running to have their photograph taken with a toasted cheese sandwich. I could go on and on. Randi, yes The Amazing Randi, has become family over the years. I started out at the first TAM afraid to even shake his hand. The second TAM I volunteered to help out. I then learned if you volunteer you get to know the wonderful JREF staff. Randi always goes out of his way to thank the volunteers. My daughter, Evelyn, later was an intern with Randi twice. 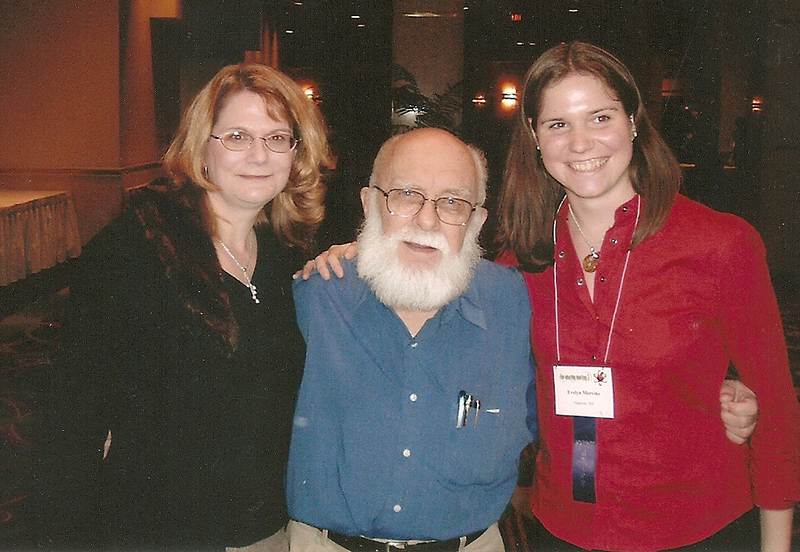 When my daughter graduated from MIT with her PhD, she dedicated her thesis to Randi. She credits him with her success. Yes, going to TAM and meeting your heroes can change your life. I can not even begin to name all the skeptics that I knew only through their podcasts and books and articles, and I now consider friends. I’m not just talking about the more well known. 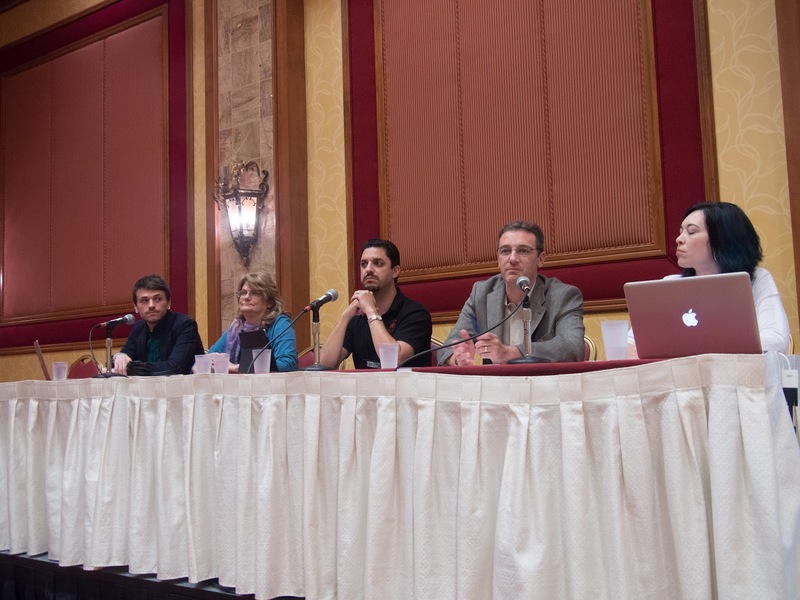 No clue why I am not on a workshop panel with these well known leading skeptics! All kidding, truly it was such an honor. Sharon Hill is a new friend I got to know through being on a panel with her. For some reason there was mistake and I wasn’t asked to be on any panels this year! (It’s fine, I’m not very important, but it was an incredible honor to actually be a part of a workshop at TAM last year). I would need a whole other blog post to focus on the good close friends I met at TAM, people that have become my real life best friends. These are just regular skeptics like myself, people with real jobs and families that believe in promoting critical thinking, and are at TAM to be inspired.